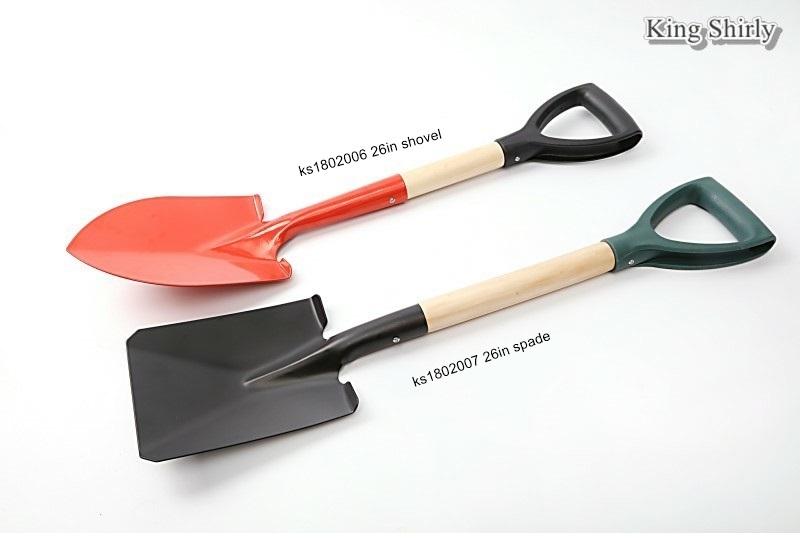 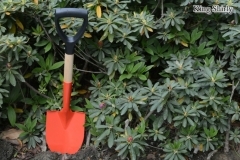 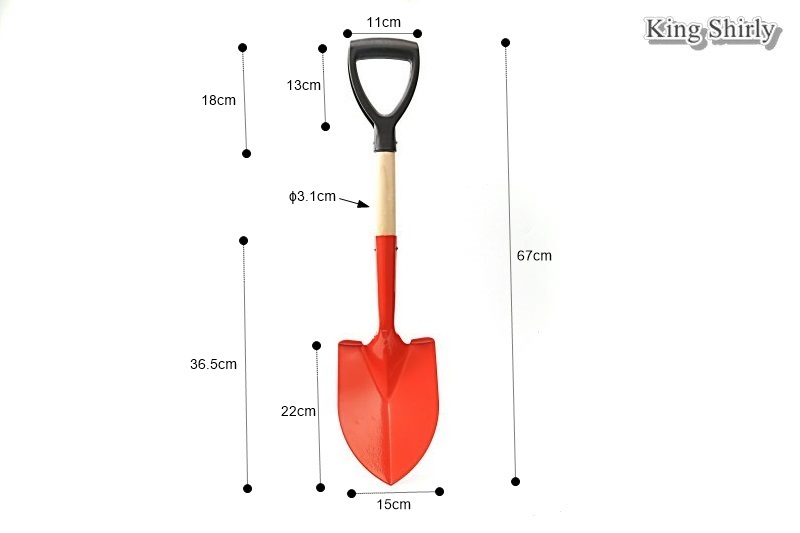 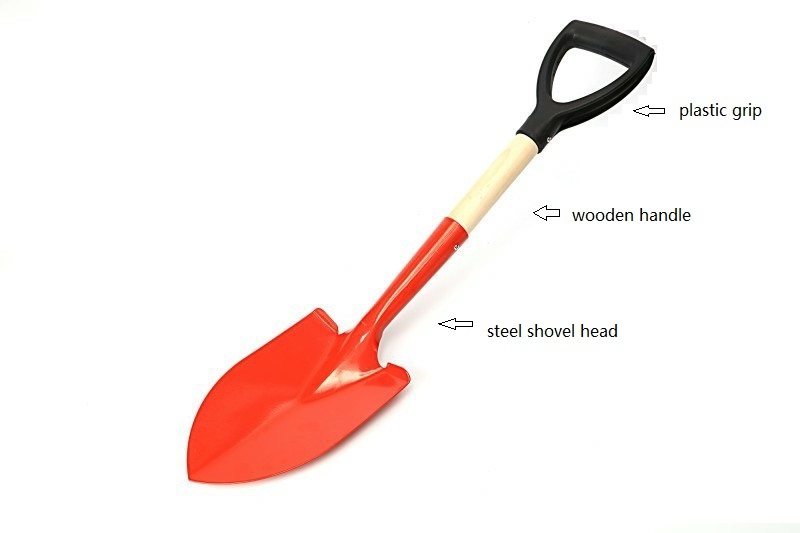 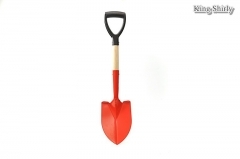 High carbon steel shovel with wooden handle and plastic D grip in medium length. 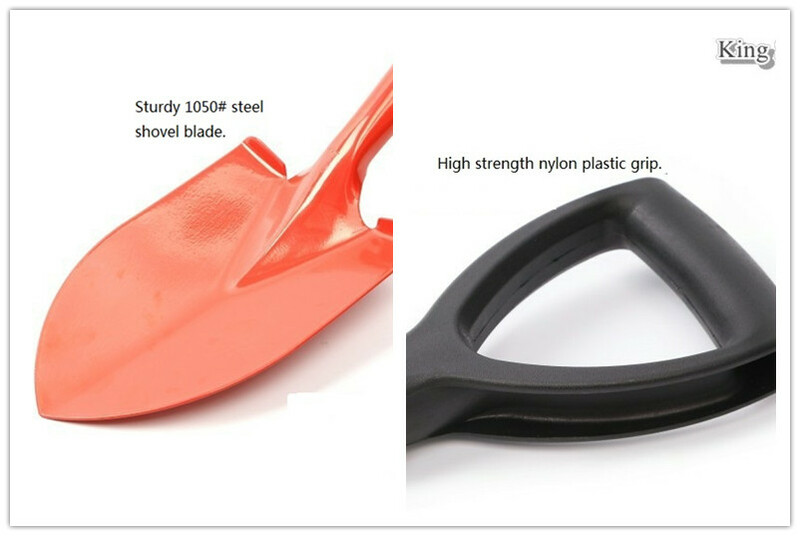 This medium long shovel is forged by 1050# high carbon steel, heat treated for extra strength and coated for rust and corrosion resistance. 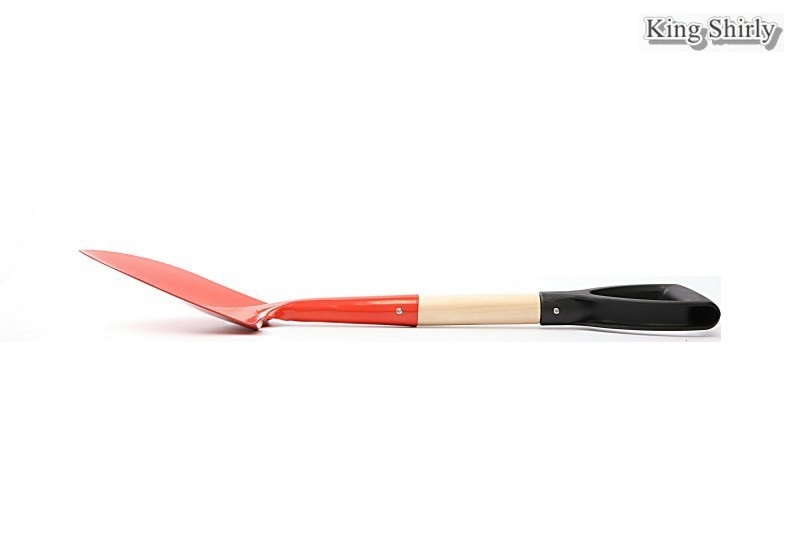 Lightweight wooden handle and plastic D grip. 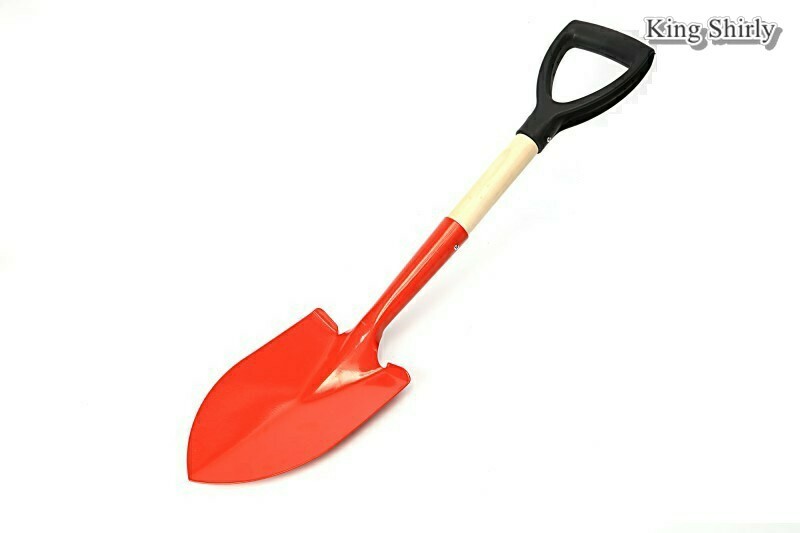 Bright colored coat for easy spot.